THE GOVERNMENT ANNOUNCED a raft of measures and initiatives as part of Budget 2018 today. They include tax cuts – and increases – as well as extra spending in areas like crime and health. But what will it all mean for your bank balance next year? If you’re currently earning around €100,000, here’s what will change. 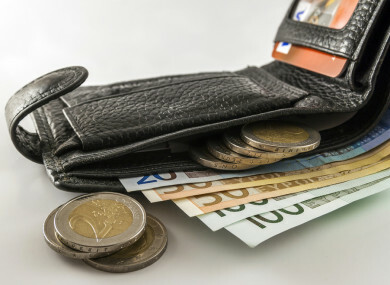 Finance Minister Paschal Donohoe announced that the point at which an earner attracts the higher rate of income tax will rise next year by €750. The entry point for single earners will increase from €33,800 to €34,550. For those earning more than €100,000, this will result in a saving of €150 next year. As for the Universal Social Charge (USC), it was announced that the 2.5% rate will be reduced to 2% and the ceiling for this new rate will increase from €18,772 to €19,372. Meanwhile the 5% rate will drop to 4.75%. If you’re earning €100,000, you’re paying USC across four rates, totalling €5,189. That’s a total of just under €5,011 and a saving of €178. If you are self-employed and currently earning €100,00o, you will benefit from the €150 income tax saving and the €178 USC saving detailed above. However, Donohoe also announced a €200 increase in the Earned Income Credit which will benefit 147,000 self-employed people in Ireland. This means an extra €200 saving in income tax for these earners. If you have children, there may be some additional savings for you as the government has pledged €20 million to support a number of measures, including an extended free pre-school programme. But if you are a fan of fizzy drinks, cigarettes or sunbeds, you’ll also be paying more for those. Email “Here's what Budget 2018 means for someone earning around €100,000”. Feedback on “Here's what Budget 2018 means for someone earning around €100,000”.